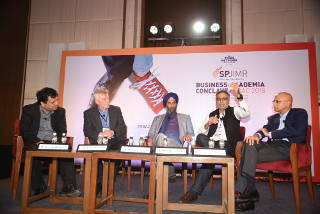 In this discussion moderated by Dr Ranjan Banerjee, dean, SPJIMR, the panelists talk about how are corporations and start-ups partnering to drive the innovation agenda. What must both bear in mind? 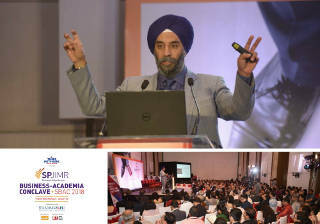 The panelists include Larry Paulson, vice president and president, Qualcomm India; Prof Mohanbir Sawhney, Kellogg School of Management; Haresh Chawla, partner, True North; Ananda Mukerji, co-founder and chairman, Anunta Tech. From a large corporation’s perspective, the need to collaborate with startups is clear: One, as Larry Paulson, Vice President and President, Qualcomm India, says, its resources are focused on running the day-to-day business and there is little bandwidth for innovation. Two, innovation doesn't always come from the most visible areas—you have to reach out to the community and partner for innovation. But when we talk about partnering for innovation, what about the employee? Is the concept of an employee dead? Not in the least. "The value of the employee has never been higher. Because how will you run this system?” says, Larry Paulson. Watch the segment on the different perspectives that emerged. The video will play at the start of this discussion; do play it till about the 39 minute mark. Partnering is simple but not easy. 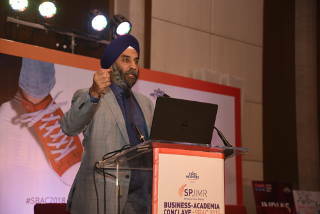 “You can’t rely on vendors to do innovation for you,” says Prof Mohanbir Sawhney, Kellogg School of Management. You need to commit to innovation—through the quantum of your investments and your willingness to change your business model. As Haresh Chawla, Partner, True North, puts it: “The sums invested [by large firms] are meaningless. Unless you are committing to changing your business model, you are doing nothing.” That commitment means investing in capacity building. 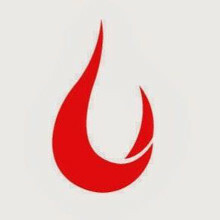 And having a technology team that is leading the industry, and working closely with vendors, partners and start-ups. In the process, they can learn consumer focus from the start-ups. There are somethings start-ups need to bear in mind as well. At some point it is going to have to move from an innovative idea, a concept, a solution, a problem solve to becoming a business. There are two models that work. One, the corporation is outsourcing innovation and then buying the innovation it thinks is useful. Or, it is using innovation in a sort of outsourced model. Where you can successfully partner with a large corporation is if your idea sits at that borderline between what is very important to the corporation, but is not core to it. And if it is core, then go to them at a later stage and say buy me. Note: This video is being republished as part of Founding Fuel's Best of 2018 series. It was earlier published as part of an article titled 'How large firms and startups are partnering to drive the innovation agenda'.